German carmakers, fighting for diesel’s future, faced a setback after a Stuttgart court ruled in favor of banning the technology in the home city of Mercedes-Benz and Porsche. Diesel driving bans are the only adequate solution to quickly clean up the air, said Judge Wolfgang Kern of Stuttgart’s administrative court, ruling on a case brought by an environmental group over the city’s failure to comply with emissions levels for smog-inducing nitrogen oxide. Kern’s decision is likely to influence other judicial cases coming in Germany on the matter. "From 2010 until today, authorities have failed to meet their duty on lowering emissions levels," Kern said. "Driving restrictions are legally enforceable and in the court's view a proportionate measure because protection of health outweighs the right to property and freedom to act for vehicle owners." Automakers, the federal government and some German states are seeking to avoid bans by instead pursuing recalls to improve emissions as the diesel-cheating scandal that erupted two years ago at Volkswagen Group continues to engulf the industry. On Thursday, Transport Minister Alexander Dobrindt took a hard-line stance against Porsche, accusing the sports-car maker of using a defeat device in the Cayenne and forcing the VW unit to recall thousands of the SUV. "Driving bans are fundamentally not a solution," Daimler communications chief Joerg Howe said in a statement, adding such a move will impair the economy, trade and commuter traffic. "There are other measures that could more easily, efficiently and quickly reduce fine dust particles and nitrogen oxide." Kern said any appeal will move immediately to the top federal administrative court. A ruling by a federal judge would give other cities including Munich and Berlin, where local courts are also considering complaints by advocacy group Deutsche Umwelthilfe, a blueprint for their own measures to fight emissions. "The judge has recommended broad diesel driving bans in Stuttgart -- this is a message to the carmakers that selling dirty diesels is finished," Juergen Resch, head of Deutsche Umwelthife, said after the ruling. "Diesel cars must be upgraded beyond software fixes with the carmakers paying for these measures." While German automakers argue that they need to continue using diesel as an interim step before moving more fully to electric cars, the confidence crisis facing the technology has ballooned in the last two weeks. 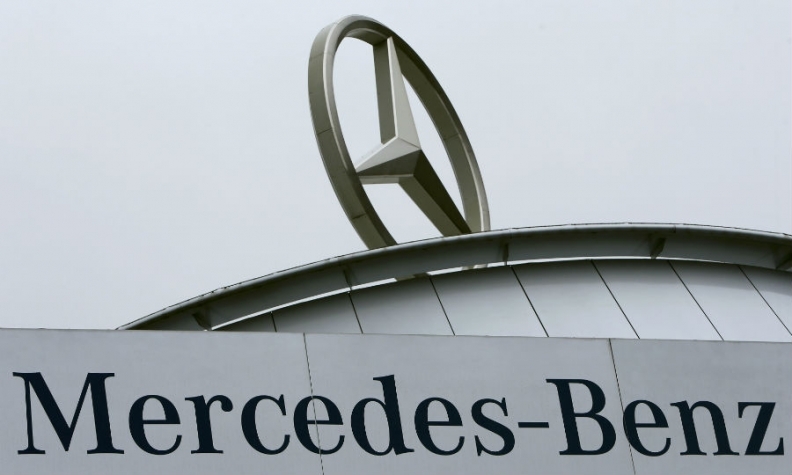 Daimler's Mercedes on July 18 announced plans to voluntarily recall 3 million diesel vehicles in Europe to upgrade their technology, while VW’s Audi brand said three days later it will service 850,000 cars. On Thursday, VW said it would expand a recall to about 4 million cars to upgrade engine software. The national debate on diesel, which last year made up 46 percent of car deliveries, has unsettled consumers, and sales of models with the technology have been dropping. Adding to the discontent, VW and Daimler are also caught up in another scandal with BMW over allegations they colluded on technology. BMW vehemently denies any wrongdoing. Possible driving bans in some German municipalities clash with an industry that employs tens of thousands to produce vehicles using diesel technology. While states appear willing to strike deals that allow carmakers to upgrade older models, cities and judges are likely to push back. In Munich, a court in March compelled the city to prepare diesel prohibitions to bring down nitrogen oxide levels. The Stuttgart case considered whether Baden-Wuerttemberg had adequate measures in place to bring down emissions. The city, situated in a valley in the country’s southwest, regularly records levels above European Union regulations. To improve air quality, bans shouldn’t only be on days with high emissions, but rather applied on a longer-term basis, Kern said. The judge recommended preventing diesel cars with the so-called Euro 5 standard -- on sale as recently as 2015 -- from entering much of Stuttgart’s center. Such a measure promised the quickest way to cut nitrogen oxide and could be put in place as early as January, he said. State Prime Minister Winfried Kretschmann, a member of the Greens, recently came out in favor of diesel software fixes rather than an original plan to ban older cars on days with high pollution. If and when people might be forced to leave their cars at home isn’t clear and the final ruling, due in August, can be appealed. Chancellor Angela Merkel’s government, which has thus far eschewed the lead of the UK and France in setting out timetables for ending the use of combustion engines, is also under pressure to take action. Dobrindt has called an emergency summit of industry executives and government officials on Wednesday in Berlin. The transport minister said Friday’s ruling didn’t take into consideration measures they will consider then. "A general diesel ban in cities is the wrong political path," Dobrindt said.